A senior Kurdish military official says a deal between Damascus and Syria’s Kurds in the country’s north is “inevitable”. 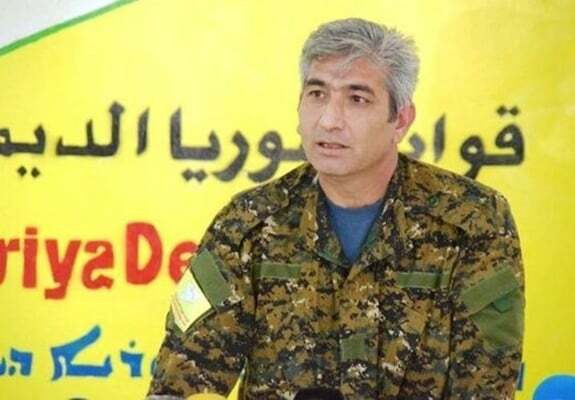 Redur Khalil, a commander in the Kurdish-led Syrian Democratic Forces alliance, told AFP that Kurdish authorities and Damascus were bound to reach a deal. “Reaching a solution between the autonomous administration and the Syrian government is inevitable because our areas are part of Syria,” said Khalil. “Talks are ongoing with the government to reach a final formulation for administering the city of Manbij,” Khalil noted, adding that negotiations had shown “positive signs”. If that leads to a solution that “protects the rights” of Manbij residents, a similar deal could be applied to rest of the areas east of the Euphrates river, he underscored. The deployment of Syrian army forces along the Turkish border could not be ruled out, but this will require specific arrangements on how to control these areas. he underlined. “We still have some differences with the central government, which need negotiations with international support,” Khalil said, adding that Russia could play an important role as a guarantor state. “The tasks of these forces could change, but we will not withdraw from our territory,” Khalil said, stressing that Kurdish fighters should be part of the Syrian army. Or another structure should be created for them that fits their status. He also urged for a new constitution that would guarantee the rights of all citizens including the Kurds. “We have common grounds with Damascus, including the unity and sovereignty of Syria over all its borders and the Syrian people’s ownership of the natural resources of this country. We also agree on the fight against extremist political ideas,” concluded Khalil.